Exxon and Chevron paid more attention to climate change over the past year – and outperformed the S&P 500. But new plans to invest in Texas drilling show old habits die hard. Oil buffs gathering for the industry’s annual confab may wonder if the industry is shifting fast enough. 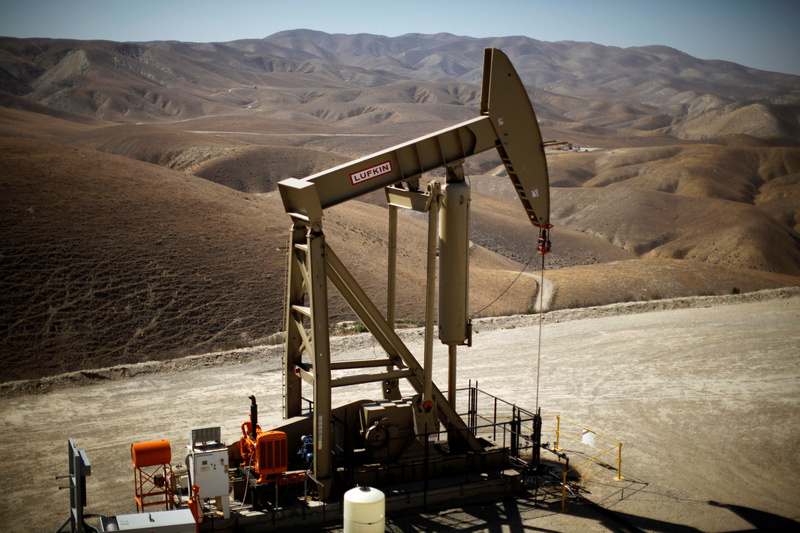 A pumpjack brings oil to the surface in the Monterey Shale, California, U.S. April 29, 2013. Chevron expects shale production from the Permian Basin to increase to 600,000 barrels per day and rise to 900,000 barrels per day by 2023, the company said in a presentation to analysts on March 5. Production in the fourth quarter of 2018 was 377,000 barrels per day. The following day, Exxon Mobil outlined plans for increased capital spending to help boost production in West Texas to 1 million barrels per day. Industry experts will convene March 11-15 in Houston at the annual CERAWeek conference, hosted by research group IHS Markit.